Moving to Becontree Heath, RM8 | Top Moving Services - Call Us Today! Moving a house is stressful experience no matter how organised you are, and it is even more upsetting if you’re moving to a new area. Our removals company in Becontree Heath - Moving Service works within postcode district RM8 and is the removal company that you need if you are looking for experience, reliability and affordability. Our team of movers has extensive experience in both house moves and office moves and no job is too big or too small for our dedicated team. 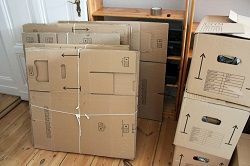 For a reasonable fee, we can provide a packing and unpacking service and can arrange delivery of packing materials in advance of your move day. Our reliable team is trained in every aspect of removals services, giving you complete peace of mind. House and office removals are our specialities and we are delighted to be able to offer a complete removals service from beginning to end. We laso provide tidy up after the removal to dispose of any waste packaging materials. If required, we can also arrange storage. Moving to Becontree Heath, is an ideal choice of residence in East London. It is a small community within Becontree and is an open space located in East London Borough of Barking and Dagenham and the close proximity of London Buses bus station makes easy accessibility to Canning Town, Chigwell, Romford, Dagenham, Beckton, Chadwell Heath, Rainham and Gallows Corner. In addition, the area has enough to keep you active with Crowlands Heath Golf Club and Driving Range, and Becontree Heath Leisure Centre, which boasts a swimming pool of 25 metres, by 25 metres and 250 spectator seats. The Barking and Dagenham Civic Centre can be found in the area, and it is a Grade II listed 1930s art deco building. If history is your thing then Valence House Museum will be right up your street, it is full of history of Barking and Dagenham and is worth to visit. With shopping, history and leisure, the area is a good choice of re-location. Our staff’s dedication and experience enables us to provide a first - class removals services, taking a weight off of your mind. Our removals company in Becontree Heath, RM8 offers a wide range of services to meet every removal requirement. We have vans for small house moves or large removal trucks for larger jobs. We can supply you with a crew of one or two men, or as many as is required. We will endeavour to meet all your moving requirements and exceed your expectations. Our aim is to make your moving house as less stressful as we possibly can. For more information on the wide range of our services, call our sales office on 020 8746 4402 to discuss your requirements. Together we can put together a tailor - made plan for your specific moving needs and can cater for any sized removal project, whether it be a one - bedroom apartment or a five - storey office block. Whatever your removal needs, our removals service in Becontree Heath will recommend the best option and cost efficient removals plan for you, for example if you are moving a flat, a man and a van may be sufficient for your removals or, if you are moving a house, then a removal van may be the best choice. We pride ourselves on being one of the best removals companies in the area and have an excellent reputation which we strive hard to maintain. We offer all aspects of removal services under one roof, making it easy for you to make your removal arrangements. For a free quote, call our friendly staff at Moving Service on 020 8746 4402. Needed to move some items to storage in Becontree Heath. Great man and van service, got my belongs there, no hassle and affordable.